The Scottish island of Taransay, in the Outer Hebridies, has finally been sold to the co-founder and CEO of Equateq, a New Zealander by the name of Adam Kelliher, for more than GBP 2 million, according to an article in the British daily, The Telegraph. It was a close race between the London-based pharmaceuticals businessman and celebrity TV presenter Ben Fogle, who spent a year on Taransay, when he appeared in the reality TV show Castaway 2000, which launched his career over a decade ago. London-based Kelliher already owns a lodge and estate on neighboring Lewis Island, and his company owns a factory also on Lewis. The selling agents CKD Galbraith are quoted in the article as saying that the owners of Taransay knew the purchasers and are apparently very happy the island is passing into “safe hands”. As for Mr. Fogle, this bid was his fourth for a Scottish island. He also once tried to buy Ailsa Craig off the Ayrshire Coast, which is now up for sale again. 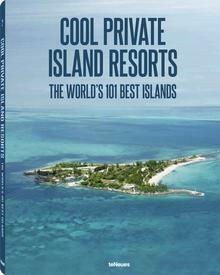 It is being marketed for more than GBP 2 million by Hamburg-based Vladi Private Islands, on behalf of Charles Kennedy, the eighth Marquess of Ailsa. Taransay has been inhabited since 300 AD. The island lies 3.2k from the Isle of Harris. It is 6.4k long and 4.8k at its widest point. The island’s beautiful heather covered hills, sandy beaches and grassy dunes overlook the bays of Luskyntyre and Seilibost to the east and the Atlantic Ocean to the west. 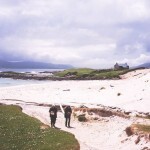 Mr Fogle is quoted as saying Taransay was the most beautiful place he had been.